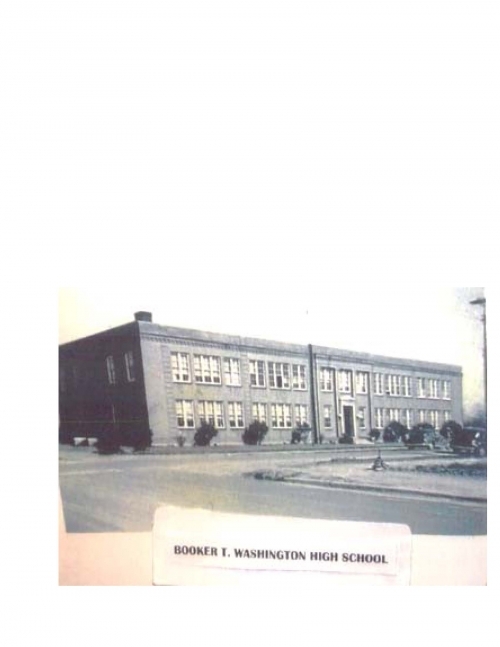 The state of North Carolina once had about 249 high schools designated under state segregation as institutions for the education of Black children in the state. 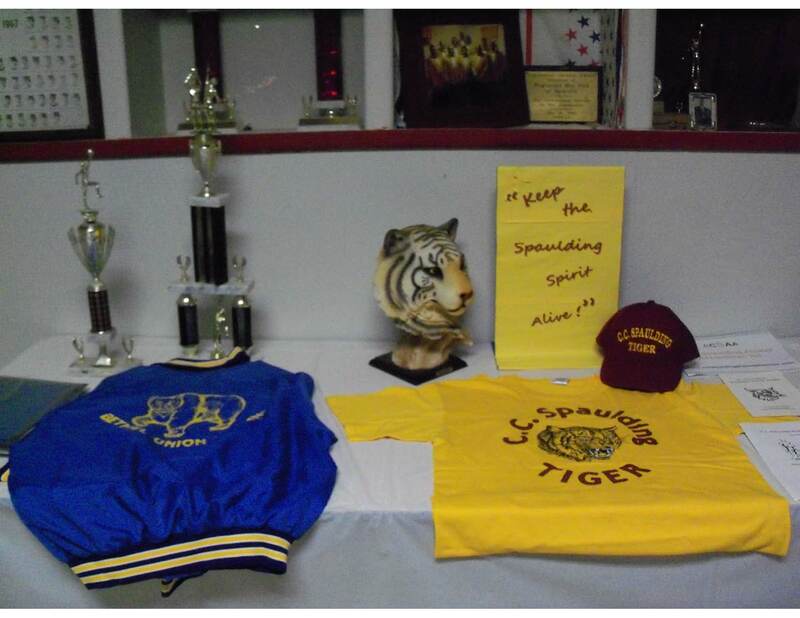 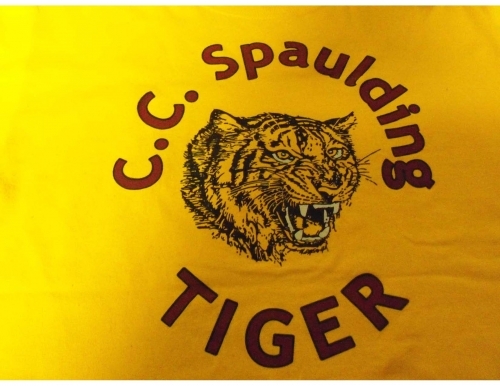 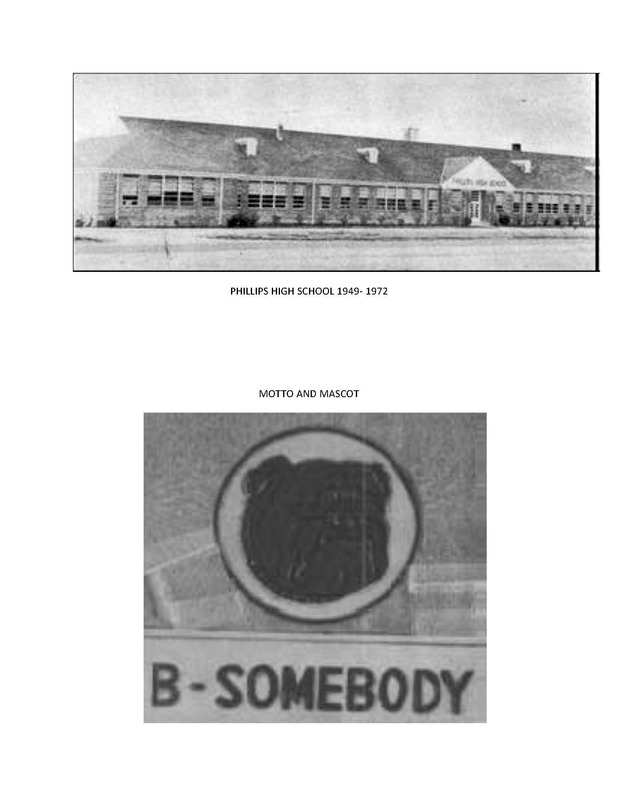 Most of these schools no longer exist due to the changing laws of integration in the late 60's and early 70s. Many of these schools were torn down, changed to middle or elementary schools. A few retained their names under a new or expanded contraction for students of all races n their particular county. 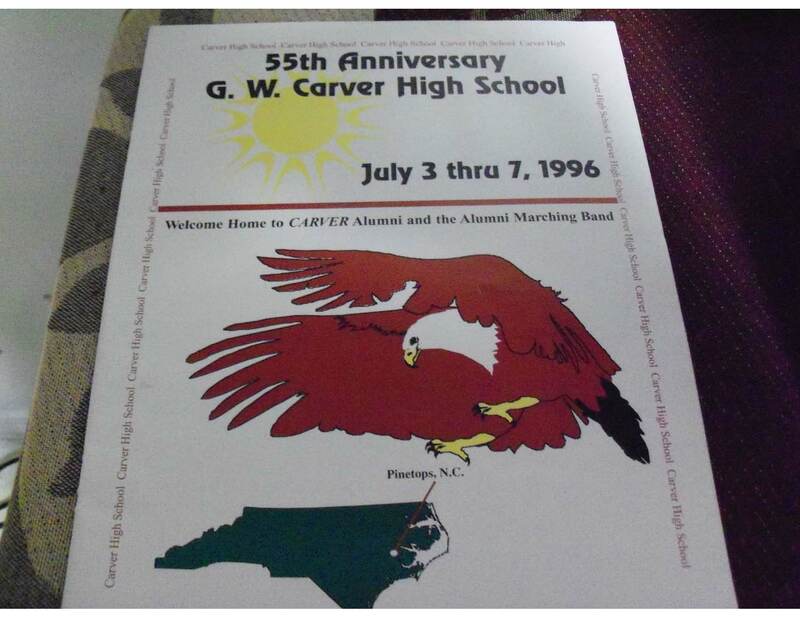 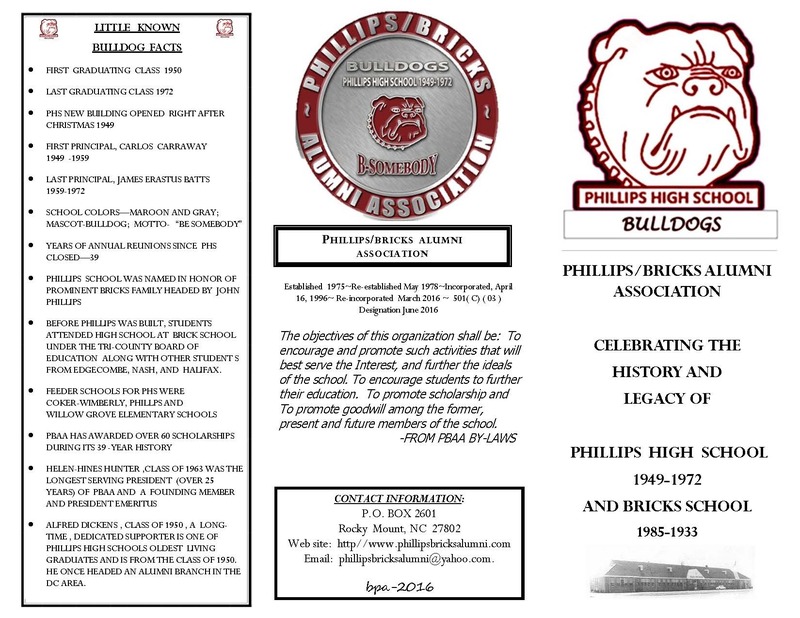 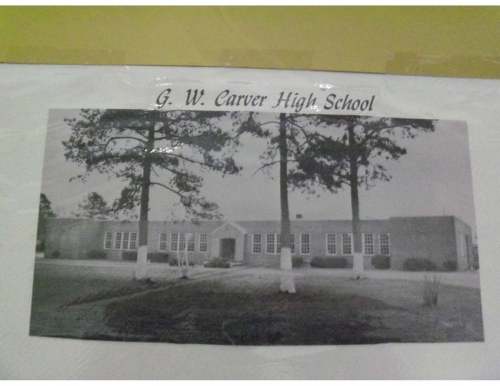 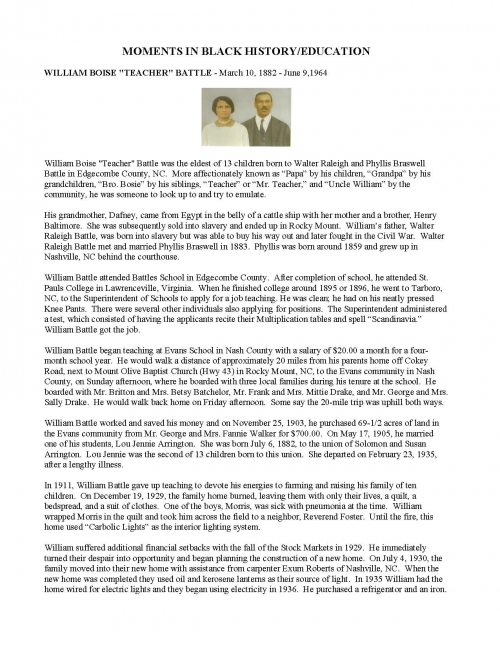 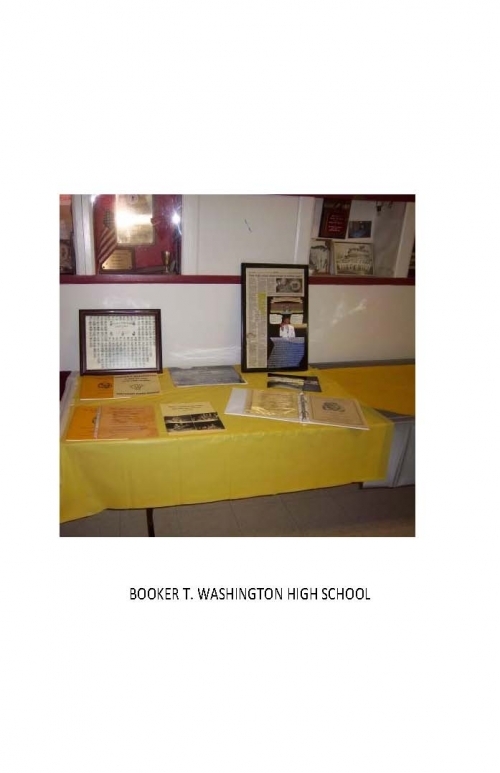 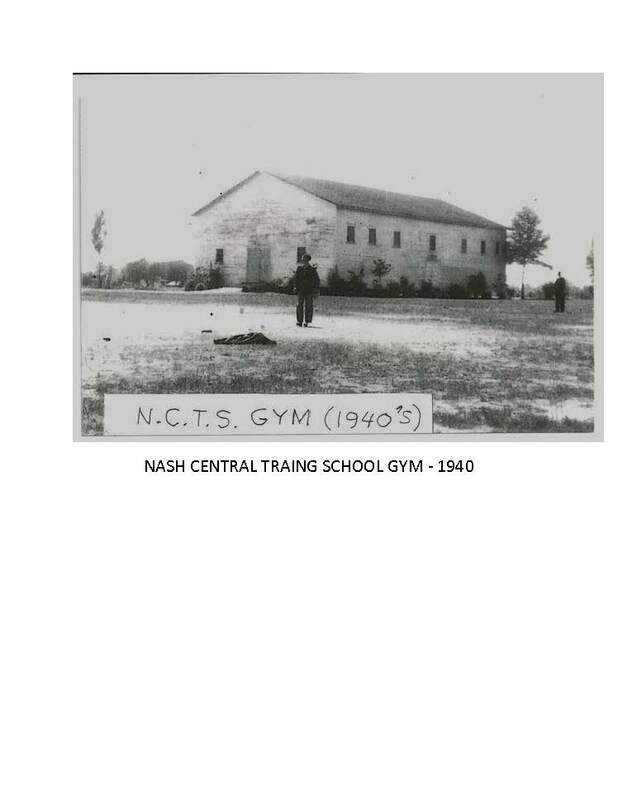 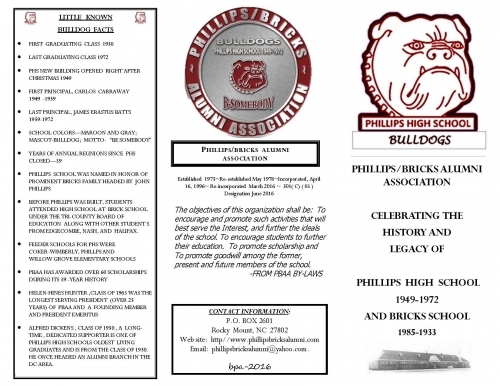 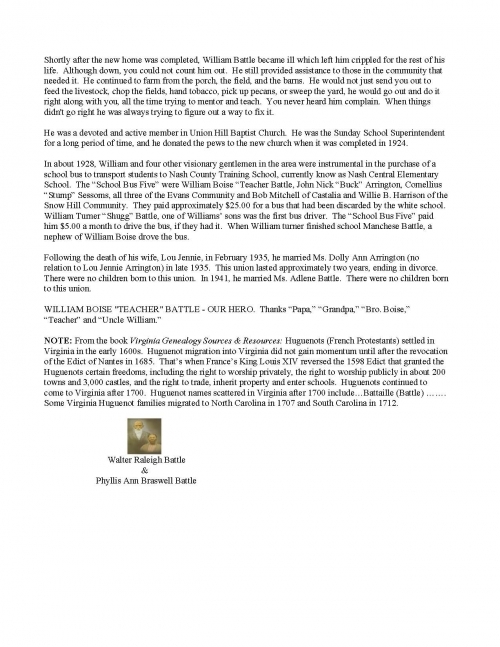 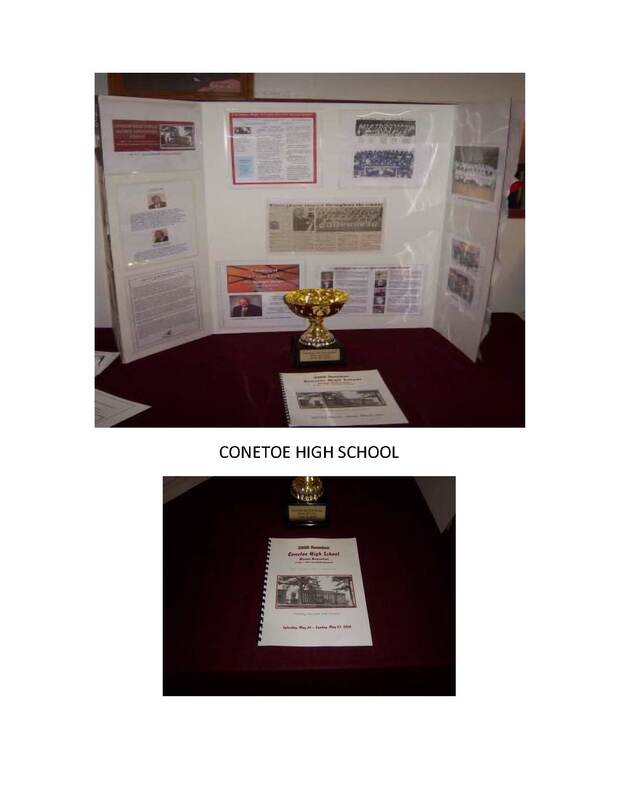 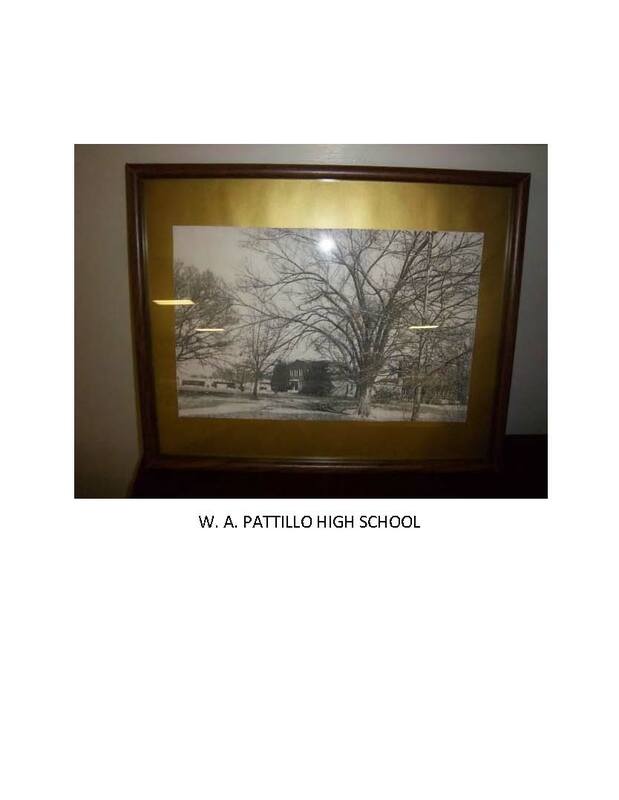 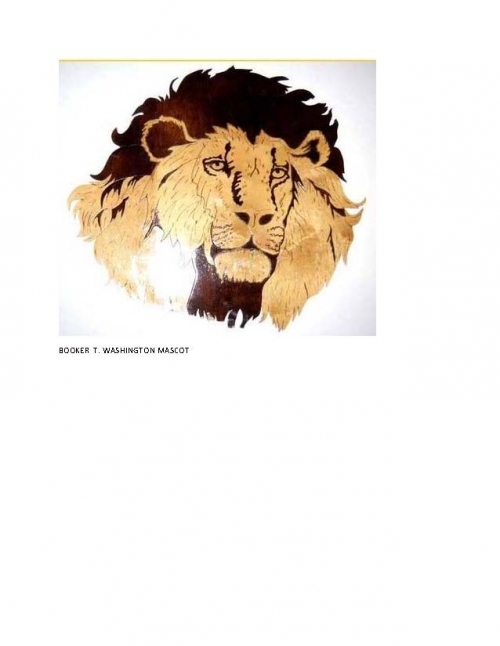 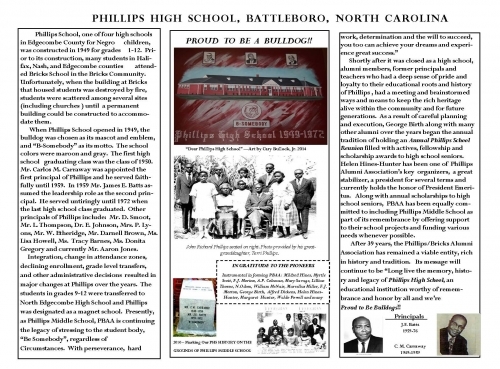 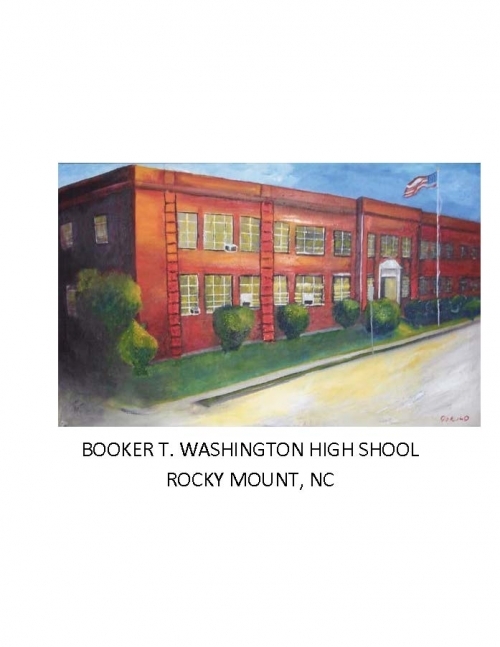 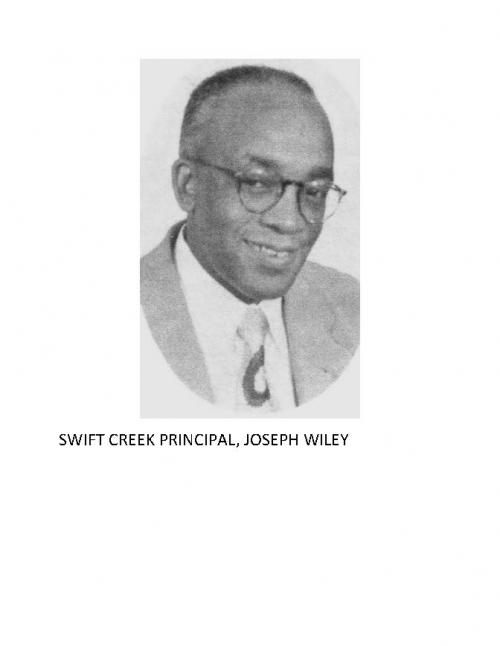 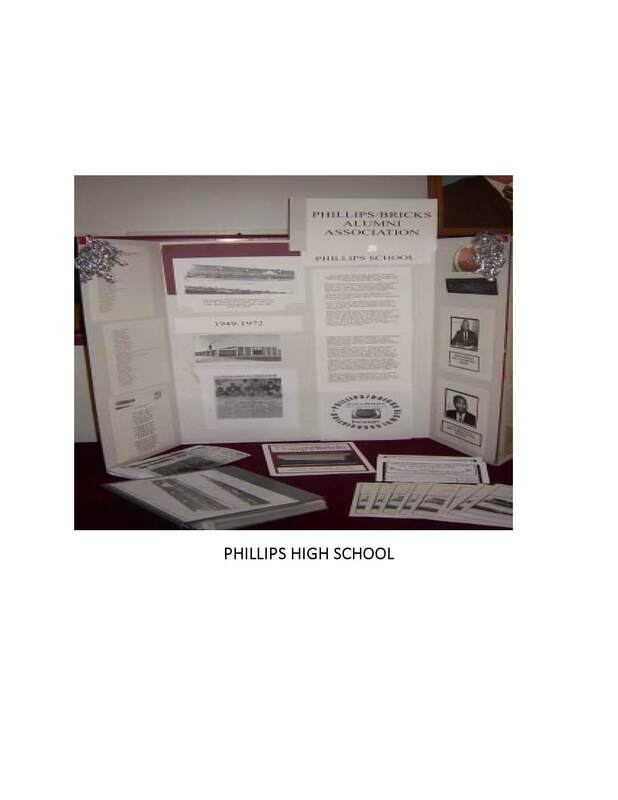 The list below is for historical information only and shows the many names and information available about our former all Black high schools in North Carolina. 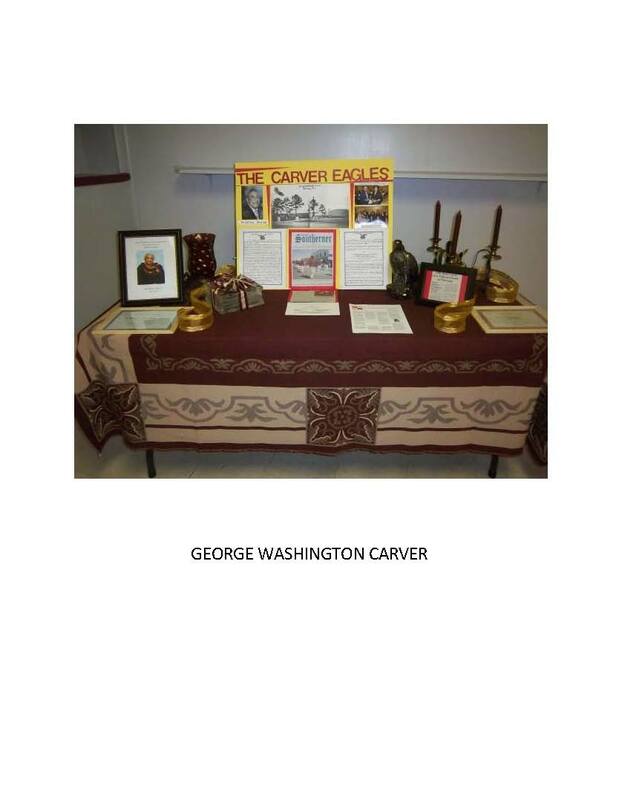 We celebrate their existence at a time in history when separate in resources was not at all equal for black students. 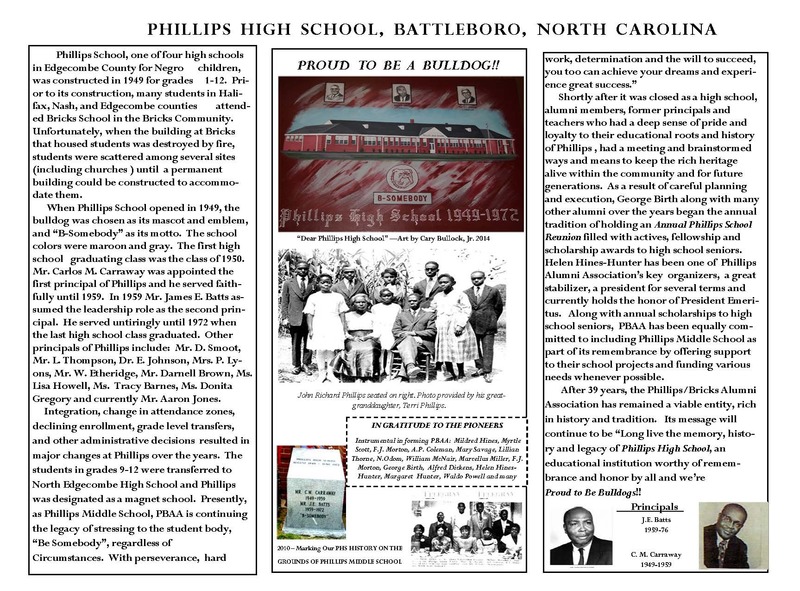 However, the education, commitment, dedication, pride, hope and love of the Black High School teachers, principals, parents and students will remain greater than any resources we missed out on and leaves a legacy that is immeasurable. BRICK SCHOOL Est. 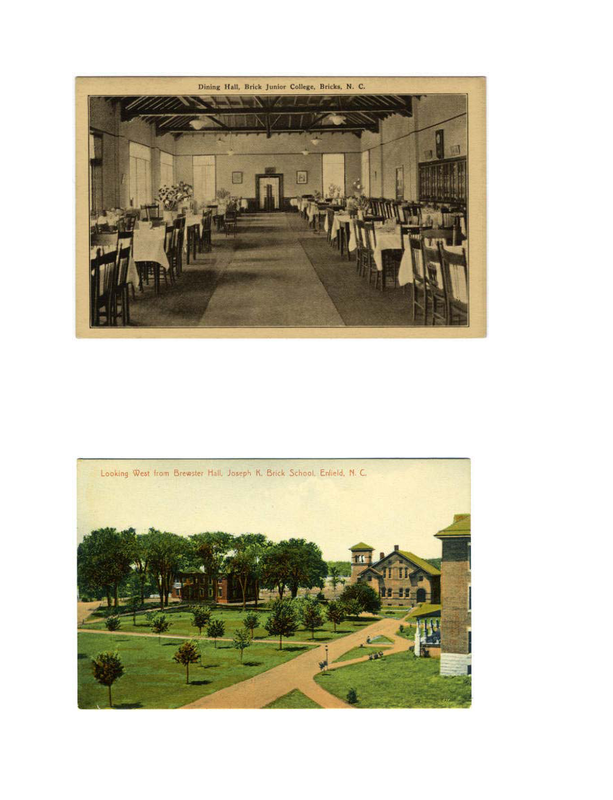 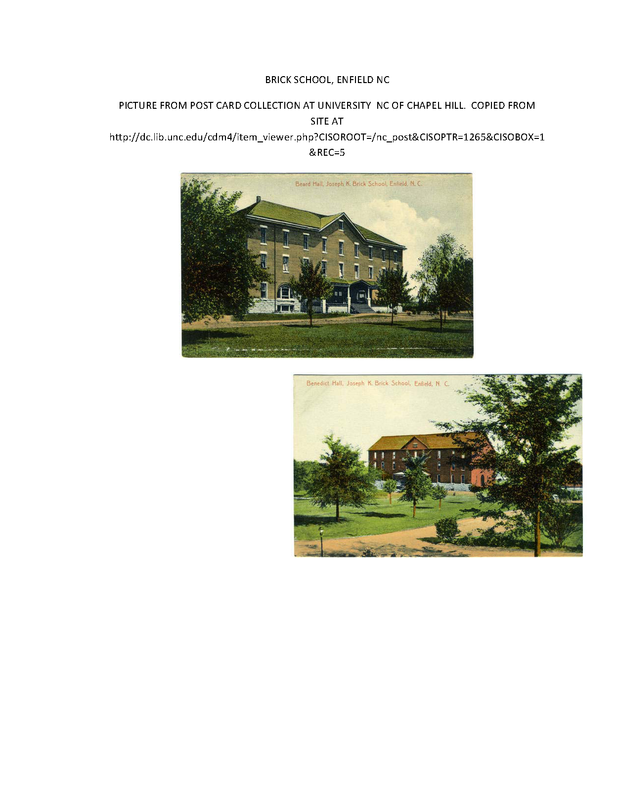 for blacks in 1895 through philanthropy of Mrs. Joseph K. Brick; became junior college in 1926. 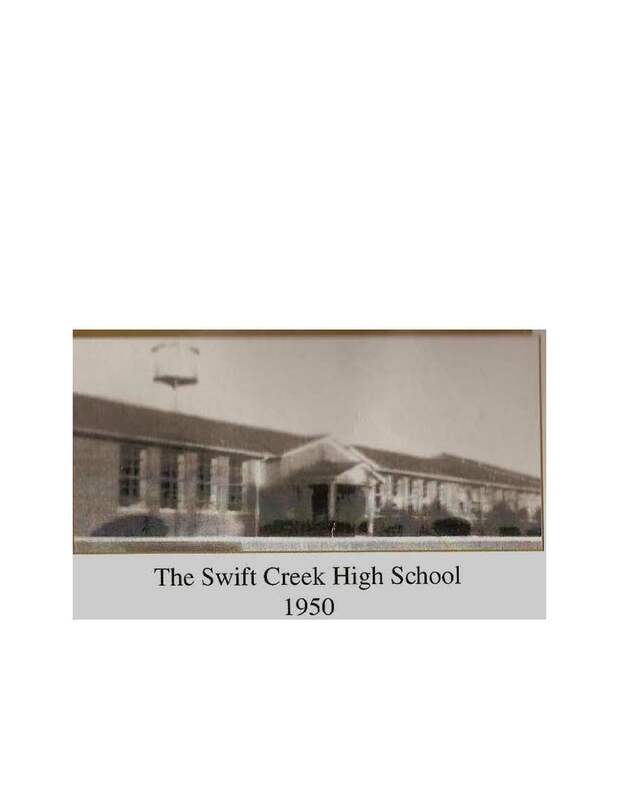 Closed, 1933. 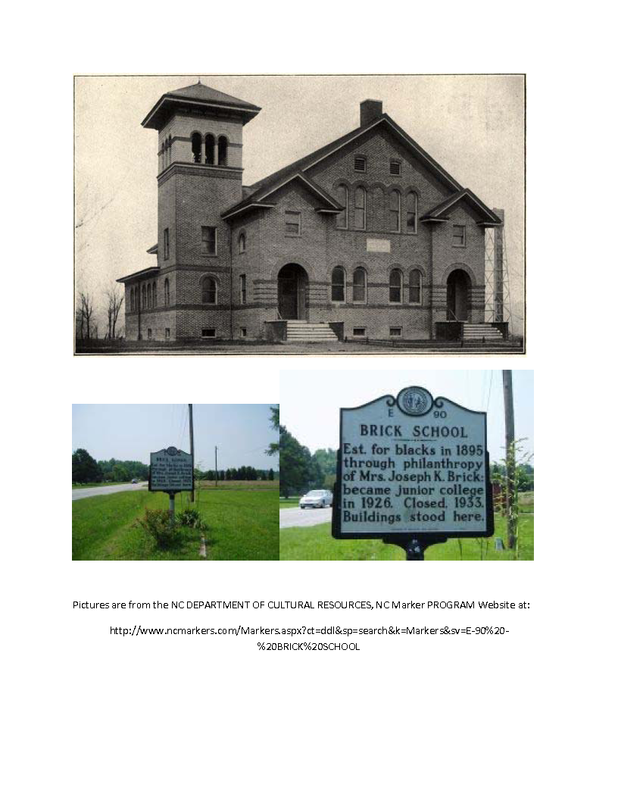 The origins of the Brick School can be traced to the philanthropy of Mrs. Julia Elma Brewster Brick of New York and the work of the American Missionary Association. Mrs. 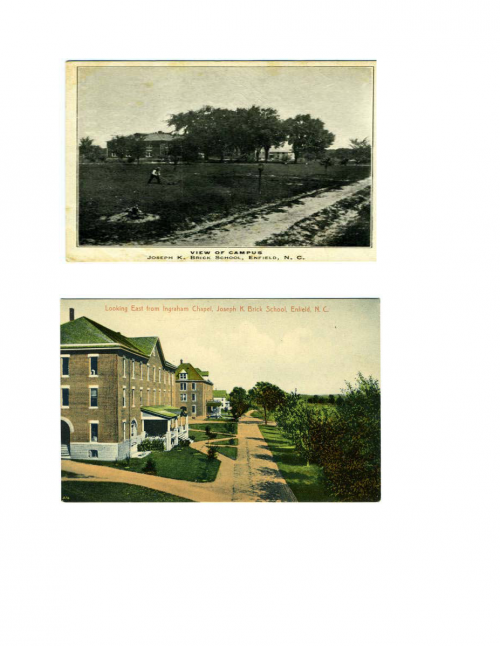 Brick approached Howard University and expressed a desire to donate land she had acquired in North Carolina to create a school for poor black children. 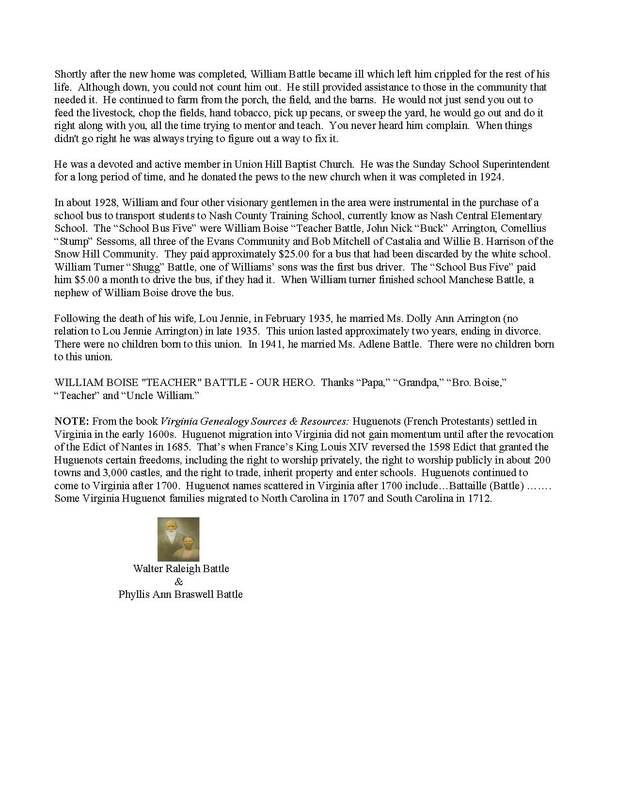 She was referred to the American Missionary Association, a philanthropic organization that developed numerous schools in the South after the Civil War. 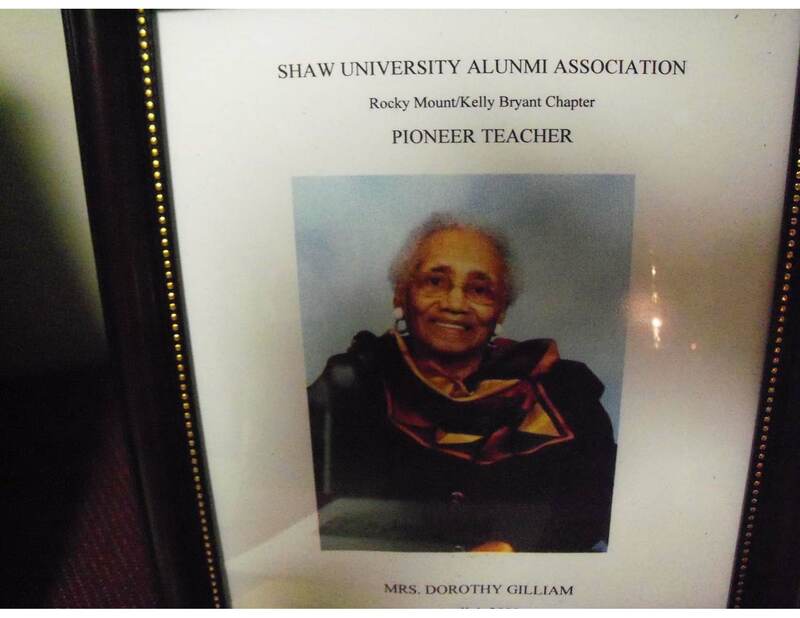 She donated land, some of which was sold to fund the new school to the Association. 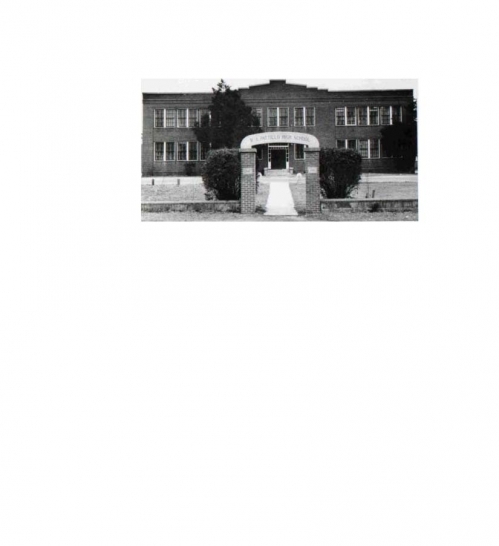 Thomas Inborden was sent to North Carolina along with five teachers in 1895 to begin the school. 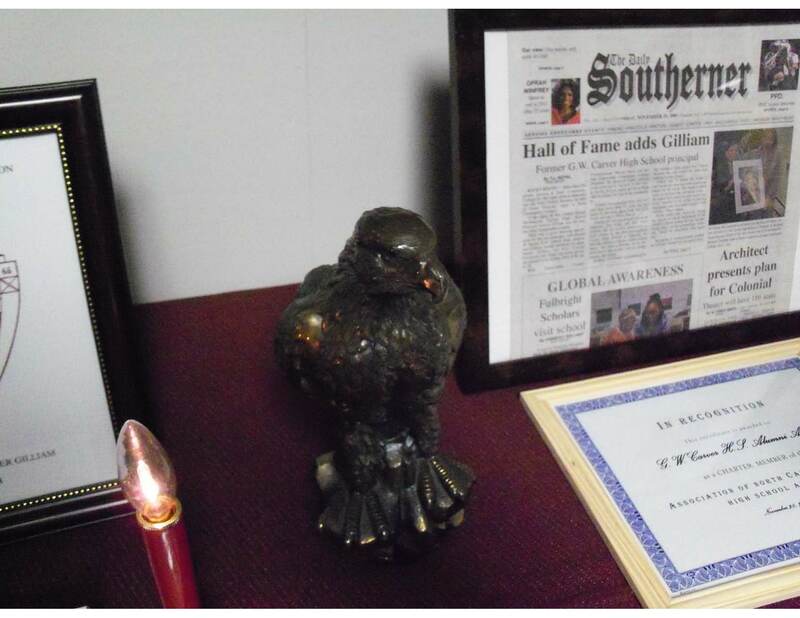 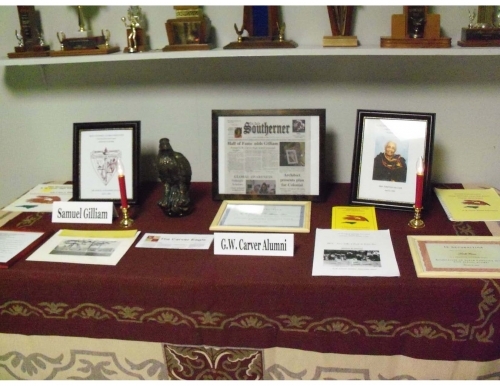 The school benefited from her benevolence throughout her lifetime, receiving numerous financial donations to meet its growing needs.